Gulla Jónsdóttir is an L.A. based architect and designer and principal of Gulla Jónsdóttir Architecture & Design. Before starting her own firm in 2009, she worked for Richard Meier, Walt Disney Imagineering and Dodd Mitchell Design. We are thrilled to have Gulla join our community as a speaker at the 2018 Independent Lodging Congress on October 19. Gulla was kind enough to talk the beauty of nature, how Respect played a role in the restoration of the Mayfair Hotel and her advice to aspiring architects and designers. What pushed you to take the jump and start your own firm in 2009? I thought it was time. I had been running another company for 9 years, and it was the middle of the recession, which is always a good time to start something new. Going against the grain so to speak. Much of your inspiration comes from nature, how do you take nature and transform it into hard materials/ incorporate it in your designs? // What aspects of nature usually catches your eye? Nature is the Architecture we all share, and I find the perfection of shapes and colors of nature to be most inspiring especially in the wild nature of my home country Iceland. The dramatic juxtaposition of white glaciers, flowing lava from volcanoes and lava rock inspire me. Sometimes I walk around and find a single piece of stone or leaf and analyze it’s dna, or an arial photo of a crater inspires a plan view of a coffee table. I like to play with scale. I see the smallest detail from a natural element and envision it in a large concrete wall or building format and vice versa. 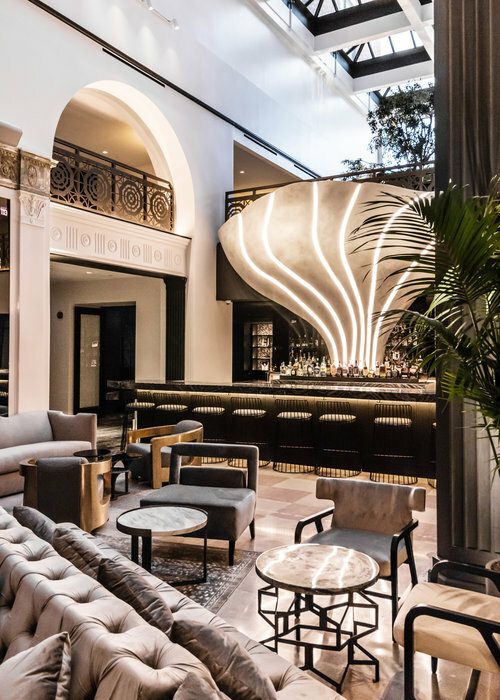 You recently completed the restoration of the historic Mayfair Hotel in L.A. What was the creative process behind this project? Where did the vision come from? In this case, the project inspiration was Respect. Respect of a historic building, especially since we don’t have that many in LA, and we should restore and save those few that are here. I worked with the historic society on figuring out what was original and should be saved and I found the old set of drawings since 1926 and some of the details from this drawing set was re-imagined into perforated bronze handrails, large chandeliers that light up the ceiling to reflect what was once there / shadows of the past, dance upon the ceiling. A mix of restoration with a modern artistic twist. I’m excited about all of my projects! I take them all to heart, literally. The ones that are the newest are always exciting as I love the first creative concept progress very much. We are now starting the largest residential tower in the Arts District, Downtown LA. We are completing a new Theater Complex in San Diego called Theatre Box, which is the first franchise from the TCL Chinese Theater on Hollywood Blvd, mixed with multi restaurants, a chocolate lounge and rooftop bar. 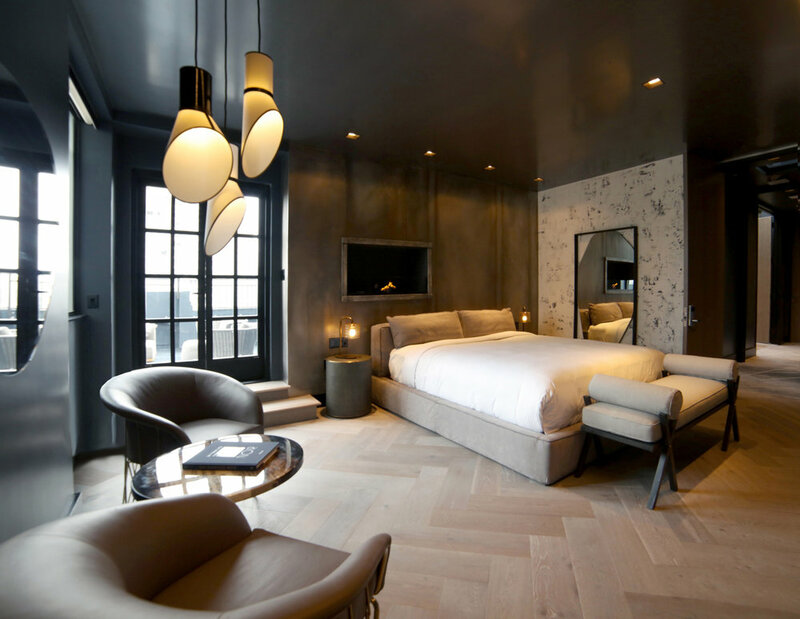 We just completed some sultry penthouses for Hotel G in San Francisco, which I’m very pleased with the outcome. I’m opening my first gallery : Gulla Jonsdottir Atelier, which will act as my gateway to beauty, of objects, art and furniture I either design or desire. The Atelier opens Sept. 13th at the La Peer hotel, in the exact same spot as my first studio was when I started 2009. How do you want people to feel when they enter a hotel you worked on? I wanted people to feel special, elevated and so that all five senses can have a playful interaction with the space. I think it’s as important for the hotel to feel as good as it looks. 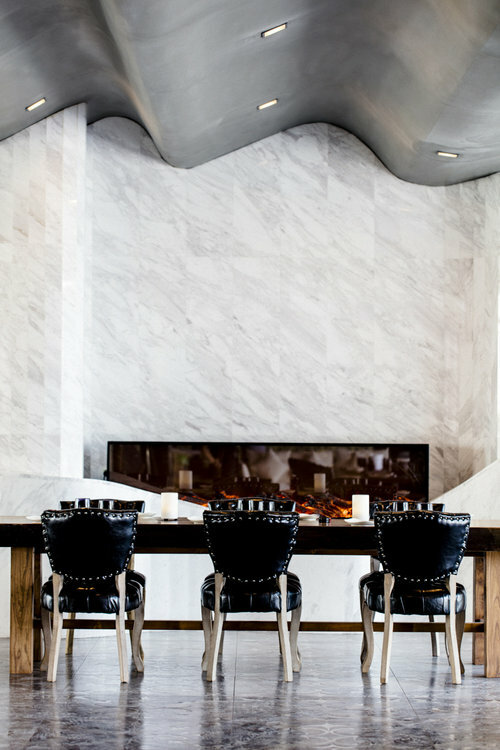 I want guests to be curious, and touch the different tactile finishes, and yet feel like they can relax as they would be at their best friends chic home. Architecture is a very male-dominated business. Do you think this has been an obstacle or has affected any part of your journey as an architecture? It certainly is a male-dominated business, but it’s changing and it shouldn’t be. There have been some ground breaking ladies paving the path for the rest of us, such as Dame Zaha Hadid, and I hope to follow in her footsteps along with other female colleagues. If you could collaborate with one artist or designer, alive or dead, who would it be? I like the work of Christo and Jeanne-Claude very much. I like the larger in life installations they have done, and that would be an interesting collaboration I think. If you did not pursue a career in architecture, what do you think you would be doing right now? Probably making wine in Tuscany and painting large paintings. 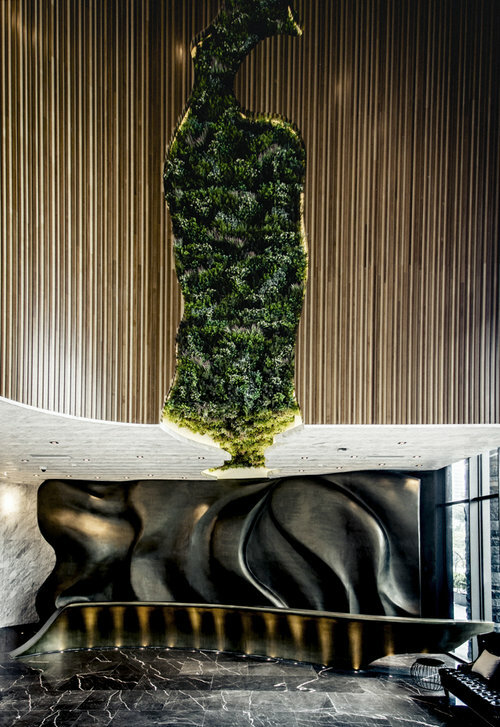 What is a piece of advice you would give to a young aspiring architect and designer looking to make a name in the hospitality space? You have to love what you do. You have to love to travel, to meet people and to design for people. It’s a stage of fantasy yet comfort. Flow and function as well as beauty should be the most important things. It’s probably a good idea to work for another firm first to learn the skillset, as to go out on your own takes time and a lot of work and passion.